We are pleased to announce that on April 17, 2015, Advocates for Awareness of Watchtower Abuses (AAWA) was awarded 501 (c) (3) status from the US Internal Revenue Service, Department of the Treasury. So what does that mean for our future? Per the letter from IRS, “We are pleased to inform you that upon review of your application for tax exempt status we have determined that you are exempt from Federal income tax under section 501 (c) (3) of the Internal Revenue Code. Contributions to Advocates for Awareness of Watchtower Abuses – AAWA are deductible under section 170 of the Code. “You are also qualified to receive tax-deductible bequests, devises, transfers or gifts under section 2055, 2106 or 2522 of the Code. Because this letter could help resolve any questions regarding your tax exempt status, you should keep it in your permanent records. 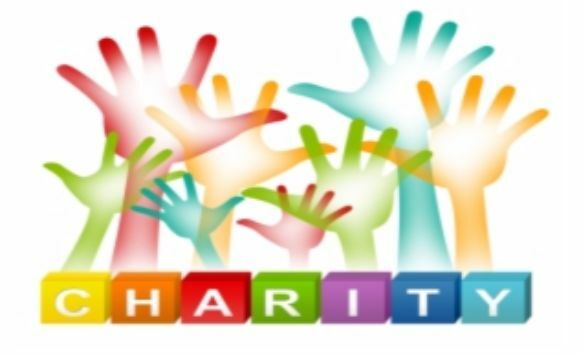 “Organizations exempt under section 501 (c) (3) of the Code are further classified as either public charities or private foundations. We determined that you are a public charity under the Code section (s) listed in the heading of this letter. Your tax-deductible contributions to AAWA will be used to educate the general public and to help them make informed decisions about Watchtower policies which violate basic human rights. A major portion of AAWA’s expenses are related to our costs for legal advice and services. We have also begun to focus our education resources to the growing menace of undue influence and how quickly it takes place in the manipulative hands of unethical high-control groups like Watchtower. We are working closely with qualified individuals to help them write books, news articles, pamphlets and blogs. We will also help provide the resources they need to produce and distribute documentary films, YouTube and Vimeo videos, online games and training courses. We are all very happy we are now both a not-for-profit and now finally a charity too. Good job, its nice to know they give exemption to those who deserve it.. Awesome, congrats to everyone involved! When considering other non-profit organizations, such as Watchtower, the non-profit is the contributor or the ones lured into the controlling organization. Members pay heavily in life, time, money, free labor etc. for NO BENEFIT but be taken for an abusive ride. Happy I R S is with your efforts to educate and hopefully bring freedom to many. Well deserved. I applaud your hard work and efforts to educate people in regards to the destructive undue influence used by these manipulative cults. Good news! Unfortunately I doubt the WT will ever be stripped of their TAX exempt status. They are to lawyered up back in Brooklyn to allow that plus the 1st thing they would scream is PERSECUTION and DISCRIMINATION! This is great news. is there a chapter in Canada? specifically Toronto? love to be of assistance. We aren’t structured that way. I live in Ottawa. Our Vice-President is in the UK and our Secretary Treasurer is in Arizona. Our volunteers are from everywhere around the globe. Regardless of where we live we all do what we can either locally or on the broader scale. There is a link at the top of the page for Volunteers. Let us know what skills or abilities you have and we can take it from there.